Fill in your details below and we will let you know within 24 hours if we can get New Frontiers The Race For The Galaxy Board Game to you with haste! 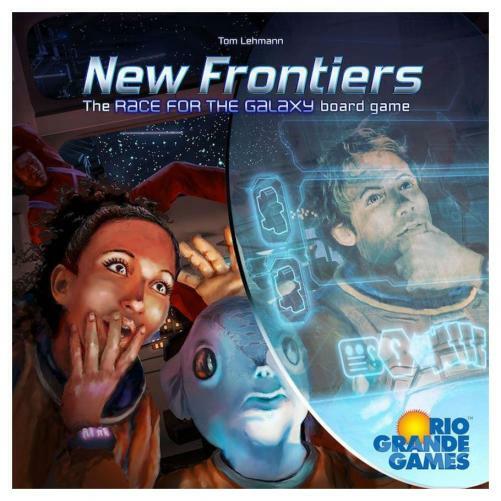 New Frontiers is an exciting addition to the award-winning family of Race for the Galaxy games! Players create their own galactic empire by conquering wolds, developing new technologies and producing trade goods to stay one step ahead of the competition. Each game can have different goals, so no two games will be alike. On a player's turn, they choose one of several actions. The auctions, such as exploring new worlds, constructing a development, setting a world and gaining colonists, dispatching diplomatic envoys or retreating into isolation generally trigger an action for all players as well as some kind of bonus for the active player. Play continues until one of four game ending conditions is reached and the player with the most victory points wins.